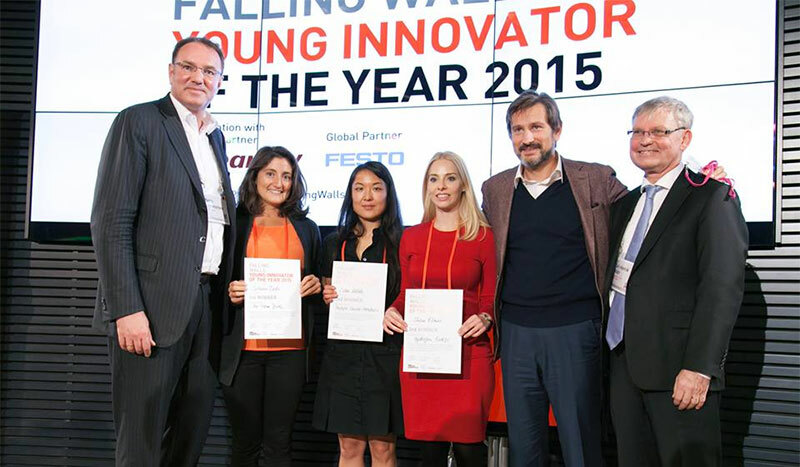 Congratulations to the Falling Walls Lab winners! 1. Winner: Sabrina Badir, ETH Zürich, Switzerland, "Breaking the Wall of Pre‐Term Birth." Idea: With a reliable, easy and safe device, we will ensure that more women experience a healthy and happy pregnancy until term. 2. Winner: Dr. Lian Willetts, University of Alberta, Canada, "Breaking the Wall of Prostate Cancer Metastasis." Idea: To predict prostate cancer metastasis using a single drop of blood. 3.Winner: Shani Elitzur, Technion - Israel Institute of Technology, Israel, "Breaking the Wall of Hydrogen Energy." Idea: Safe hydrogen production on-demand based on aluminum-water reaction for electric energy storage. As the International President of Doctors Without Borders, Dr. Joanne Liu is pushing the global community not to remove walls, but rather to “build a firewall” around the hospital. “We know there are rules in the war time,” she says. “We don’t attack hospitals, we don’t attack patients, and we don’t attack medical caregivers.” With satellite imagery, Liu provided evidence that airstrikes in Kunduz, Afghanistan specifically targeted a Doctors Without Borders hospital. Read more. Demis Hassabis started playing chess at age four, bewitched by the ways in which the mind could conceive of strategic moves. After a decade of designing computer games and a PhD in neuroscience, he founded DeepMind, “an Apollo program effort for neuroscience and artificial intelligence.” Hassabis is working to build the world’s first general learning machine – something that learns automatically from raw data, and can apply learning techniques across a range of topics. Read more. Sharon MacDonald is re-thinking the role of museums in society, a challenging job in a culture obsessed with the new. For rapidly changing tools, such as mobile telephones, it’s not always obvious which iterations are worthy of collection and display. Read more. Human lifespans have increased substantially over the last century and a half, a world-changing development due primarily to the observation that microorganisms cause infectious disease. Antibiotics followed, “but these things can be carried only so far,” said Nobel laureate Dr Bruce Beutler of the University of Texas Southwestern Medical Center, He cited antibiotic resistant pathogens that are stalling the progress of pharmaceuticals. Read more. The Mostar Bridge is a critical linkage between mosques and markets in the Bosnian city of Mostar, passing in a high arc over a swiftly moving river. Four years to the day after the Berlin Wall fell, the bridge was destroyed in the throes of the war between Muslims and Croats. To Dr. Nilufer Gole, from the Ecole des Hautes Etudes en Sciences Sociales, Paris, the debates that shape many such conflicts and controversies stem from a tension between the Muslim association with European culture and protection of cultural heritage. Read more. How can we be secure in our research but still get nervous on stage? Especially in talks as the ones given at Falling Walls Lab, where you have 3 minutes to present your topic, you cannot risk to lose a minute. Unfortunately, for one or other reason some of the presenters still get nervous during their talks. Maybe more practice? Probably this is not the only matter. The main reason some of the speakers get blocked or freak out on stage is technical problems with slides. This fact — absolutely out of your control — can make you feel more insecure than the trickiest question from the audience. Funny brain. As a tip, never stop talking. If your slides don’t work, just keep on talking. Public loses track of what you are saying if there is a long pause and it feels odd — unless you are able to make a good joke and rise an applause. Karina Pombo-García (@kariamina) is a PhD candidate at the Institute of Radiopharmaceutical Cancer Research in the Helmholtz Zentrum Dresden-Rossendorf (HZDR) in Germany. She grew up in Galicia, Spain, where she earned her MSc from University of Santiago de Compostela. Her primary research interests include nanomedicine, nuclear medicine and cancer research. For her PhD, she is studying the development of multifunctional nanoparticles for cancer imaging. She investigates how to chemically modify nanoparticles surface interaction with physiological barriers that would allow them to specifically reach the tumor cells. This would help in developing new imaging-based diagnostic tools for cancer. She has spent a fare bit of her journey as a visitor student at Monash University in Melbourne, Australia. Apart from science and science communication, she loves tour cycling, listening to people stories and travelling. Read her Elsevier Connect story: "Six ways scientists can become storytellers — and why they should." The fall of the Berlin Wall is the inspiration for an annual science conference that asks the question, “Which walls will fall next in science and society?” To answer that question, young innovators, science start-ups and leading researchers come from around the world to present their breakthroughs at Falling Walls Berlin. The dates are always the same: November 8 and 9. Even if you cannot travel to Berlin, you can watch the entire event online and discuss it with fellow participants on Facebook, Twitter and livestream below. Falling Walls Lab connects 100 young innovators and researchers from different disciplines and continents. Each participant has 3 minutes to convince the jury of his idea and become the Falling Walls Innovator of the Year 2015. Falling Walls Venture showcases outstanding science based start-ups nominated by leading universities such as King Abdullah University in Saudi Arabia and the University of Rochester and venture capital firms like Total. They present their business idea in 5 minutes and compete for the title Falling Walls Science Start-up of the Year 2015. 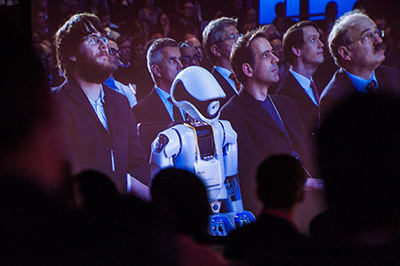 At the Falling Walls Conference, 20 world-class researches have 15 minutes each to present their breakthrough research. This year’s speakers include the sociologist Saskia Sassen, the founder of the start-up Google DeepMind Demis Hassabis, and three Nobel Laureates. See the entire list of speakers. 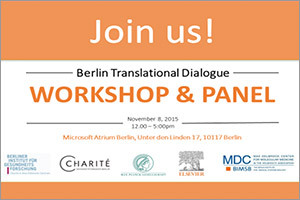 Read updates on this page and on the Falling Walls Fragments blog. On Twitter, follow @FallingWallsand @ElsevierConnectand use the hashtag #fallingwalls15. The Falling Walls Foundation generates a plethora of programs that help to “break down the walls in science” at various levels. The programs touch all members of the research community, from policymakers to venture capitalist and the researcher. The main conference brings cutting-edge research from all areas of science to a wide audience in a highly engaging and inspirational way. It is this compelling storytelling that makes the conference unique. 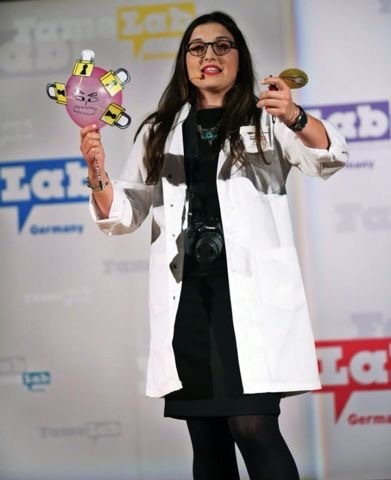 The Falling Walls Lab gives young researchers a great platform to highlight their work while learning how to present their research to a critical jury. The Venture program sits at the heart of the triple helix, bringing researchers together with venture capitalists and entrepreneurs to incubate their ideas into further development. And finally, the Circle creates a rare opportunity for politicians, senior academic leaders, media and captains of industry to hold a frank dialogue on crucial questions concerning the future and the role of science, technology, innovation, academic research and science communication. The conference is exemplary in its professionalism and shows true understanding and heart for those who participate. For these reasons, Elsevier is extremely proud to be supporting Falling Walls and that several of our members are able to contribute to its success. Olaf Lodbrok, Managing Director of Health Analytics for Europe and the Middle East, is on the jury of the Falling Walls Lab, and Jan Reichelt, Managing Director and co-founder of Mendeley, is a jury member for Venture. 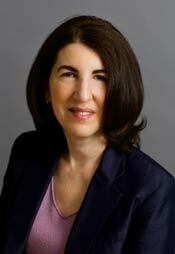 Additionally, Dr. Emilie Marcus, CEO of Cell Press, will take the Forum Stage as a panelist during the main conference. 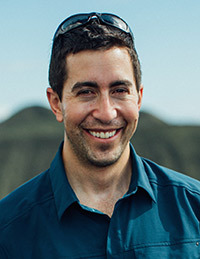 Jeffrey Marlow is a Contributing Writer at Discover Magazine and a Geobiologist at Harvard University, where he studies deep-ocean microbiology and the inner workings of methane-metabolizing microorganisms. His research on exotic microbes has taken him to deep sea vents in the Eastern Pacific, lava lakes in Vanuatu, and acidic rivers of Spain's Rio Tinto. He has also participated in several of NASA's robotic missions to Mars, including the Mars Exploration Rovers, the Phoenix Mars Lander, and the Mars Science Laboratory. In addition to his scientific work, Marlow is the founder of the Mars Academy, a global education project that brings the excitement and inspirational power of exploration to some of the world's most disadvantaged communities. Mathius Bochove is social media specialist for the Falling Walls foundation, Falling Walls is a unique international platform for leaders from the worlds of science, business, politics, the arts and society. His further projects include works for the Aids Foundation and Stop Aids Now in Amsterdam. 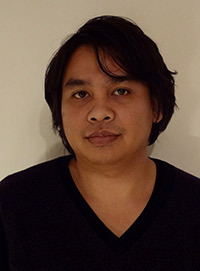 Other interests lies in advertising and online marketing, where he tries to digitally connects stories between brands and consumers. 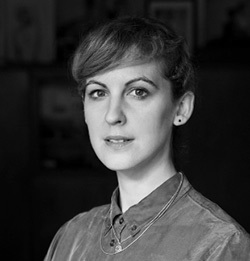 Lucie Menz is head of press and communications for the Berlin-based Falling Walls Foundation, an international platform for leaders from the worlds of science, business, politics, the arts and society. She holds a master’s degree in International Relations from the Graduate Institute of International Studies (HEI) and a LL.M. in International Humanitarian Law from the International Academy of Humanitarian Law (CUDIH) in Geneva. Before joining the Falling Walls Foundation, she worked for a communications agency, where she managed various projects for large cultural and political institutions such as DIE ZEIT, the Leo Baeck Institute New York and Human Rights Watch. Iris Kisjes (@Kisjes) has worked at Elsevier for eight years, the past five in communications. 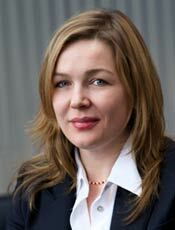 She is currently Senior Corporate Relations Manager, based in Amsterdam. She has a keen interest in the knowledge economy, especially in relation to the valorization of science and the longevity of the higher education system.